T-Mobile makes another cultural coup with its ongoing and highly social "Life is for sharing" campaign. 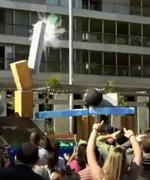 On May 11 in Barcelona, the firm set up a huge live Angry Birds installment inviting people to play. A few curious stragglers were drawn to a booth, where they found a smartphone with Angry Birds loaded. They'd casually draw the slingshot back (the birth of an addiction) -- and find to their surprise that the result was replicated in real life. It goes without saying that a crowd formed fast. You Mean Flashmobs Still Happen...? I know. You're thinking, "Why haven't all the perpetrators of this kicked-to-death gimmick been banned to an island yet...?" The easy answer is, brands still pay for them. We give you Dodge's Rock N' Roll Marathon Flashmob. 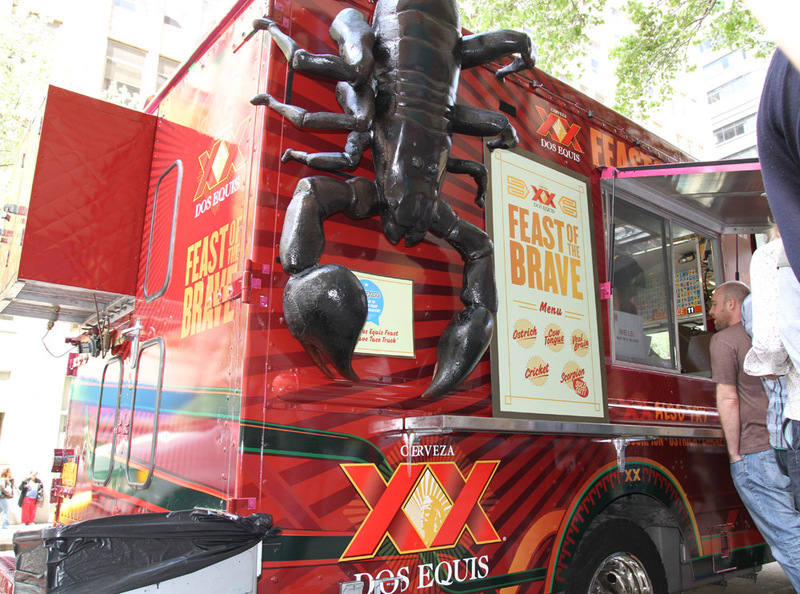 The brand was a title sponsor for the event this year. For 2011, Partners + Napier joined forces with the Boy Scouts of America for a new initiative called "Toss Your Boss." Partners + Napier employees were challenged to raise $1,000 in donations. 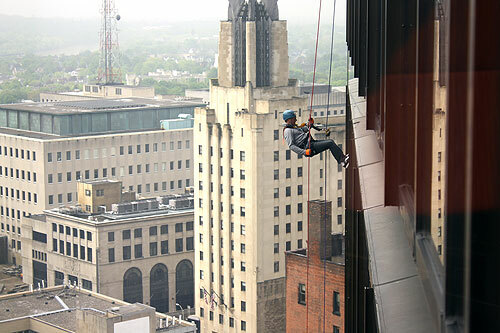 If they did so, Chief Creative Officer Jeff Gabel would rappel 309 feet down the First Federal Building in Downtown Rochester. Well, the agency achieved that goal and raised over $1,000 in donations for the Seneca Waterways Council Urban Scouting Program, which serves more than 20,000 kids in the Rochester area. Thus, Jeff and six other agency employees strapped on their helmets and took the plunge a couple Fridays ago. - Fish sing for depressing. Strange. Very strange. - Two R/GA creatives, Fabian Berglund and Ida Gronblom. have just joined Wieden + Kennedy. - A single click can help change the world. 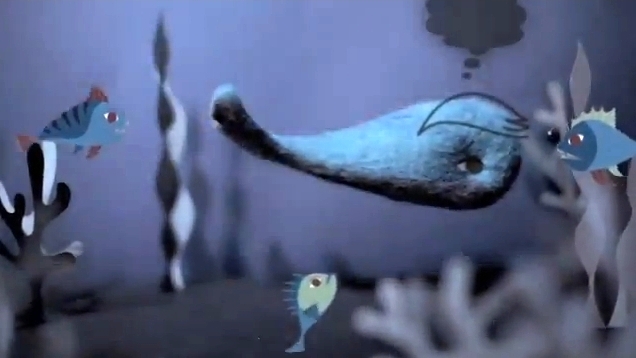 Some nice work that's part of the YouTube Cannes Young Lions Ad Contest. It comes from Schacar Aylon in Israel. - Lymbix hopes to call attention to email misunderstandings and miscommunication with ToneCheck, a site that tests the tone of your email before you send it. - If you were wondering why there were skeletons on the walk/don't walk sign in New York, here's an explanation for you. By now, we've seen all manner of urinal advertising but this one serves a beneficial purpose. 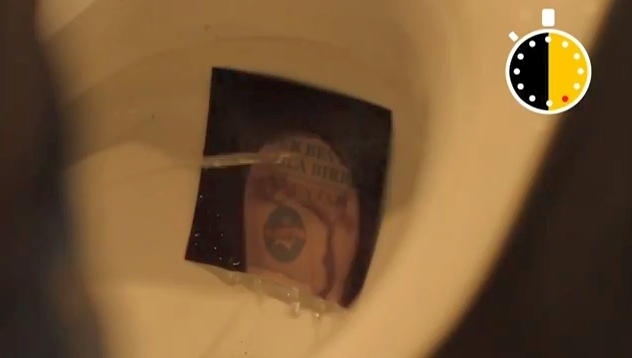 While not actually measuring alcohol content, the Pissalyzer from Publicis Milan delivered a "take a cab" message to men who pissed in the urinal long enough for it to be assumed they'd consumed a pint of beer. While we're sure this is helpful, we have to wonder if a dude whose just down a few shots is going to piss long enough to get the message. Anyway, it's a worthy effort and who doesn't like to read stuff while taking a piss. It's better than wondering if the guy in the next stall is checking out your junk. Yawn. Another Flashmob. Oh, Wait! This One Has Bikinis! So yea. Another flashmob. Who gives a crap, right? Well, no matter how lame, boring or amateurish, anything that features hot guys and girls in their shorts and bikinis is bound to attract at least a little attention. And that's exactly what this flashmob for PacSun got when they staged a flashmob at The Grove in LA. 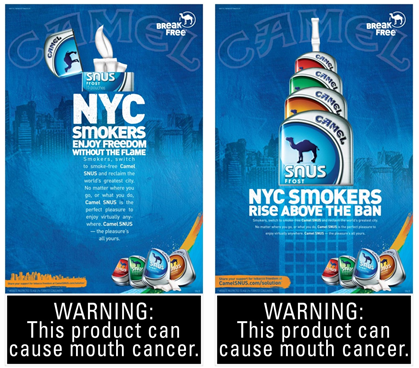 The work is part of the brand's Dress Irresponsibly campaign which aims to hype the brand's focus on fun and creativity. PacSun partnered with Passion Pit to remix a PacSun track titled "My Body's Not Your Toy" featuring La Roux's "I'm Not Your Toy" versus Young the Giant's "My Body." We are told this same flashmob played out in 15 other retail oocations across the nation at the same time. Yesterday, KFC delivered lunch to window washers 40 stories above the Chicago River. Strapped to a harness a climber dressed in the Colonel's white suit hand delivered lunch to window washers at Chicago's River Bend building. Obviously the whole thing was a choreographed stunt but still, pretty cool. You know, this is actually an effective "ad." It does three things. It makes you keenly aware of an issue. It does so with personalized one to one accuracy. And it delivers the perfect "Aha!" moment. Bar Aurora & Boteco Ferraz hired a valet, told him to act drunk while taking people's cars to park. Shenanigans ensue. People freak out. But when the valet finally relents allowing the person to park their own car, he hands them a ticket which reads, "Never let a drunk driver take your car. Even if that driver is you." Which, of course, is a powerful reminder for a person to drink responsibly just as they are about to enter a bar...and drink.